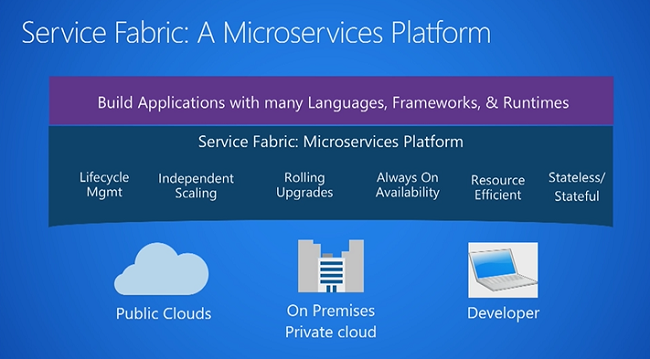 Service Fabric runtime has been started rolling out to the various Azure regions with corresponding SDK and tooling updates. The new release was announced at Ignite conference earlier this year, in September. Service Fabric runtime version 6.4 has been started rolling out to the various Azure regions with corresponding SDK and tooling updates. The new release was announced at Ignite conference earlier this year, in September. The release includes many bug fixes, stability improvements, and performance fixes and according to the company, in the next couple of weeks, the updates will be available in all the Azure regions. General availability of the automatic backup and restore service that allows you to backup the data in Stateful Reliable Collections and Reliable Actors without any code. A viewer for data is being shipped independently. General availability of EventStore APIs for easier diagnostics (with integration in Service Fabric Explorer). Linux cluster events are now pumped to syslog and can be viewed in Log Analytics." To see the full list of updates, you can read the release notes here.